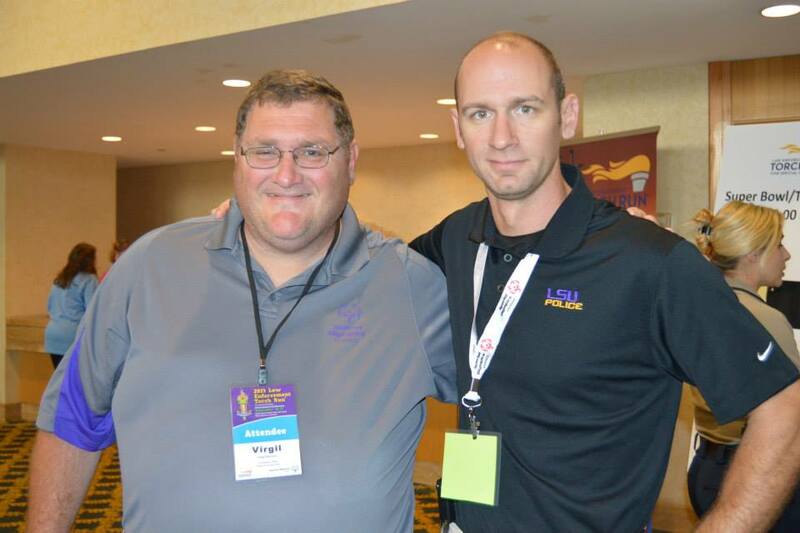 The 2015 Special Olympics State Indoor Games are coming up on March 6-8 in Baton Rouge, LA. Athletes will compete in basketball, bowling, and tennis. Athletes also have the opportunity to participate in Olympic Town. Olympic Town is a festival/carnival type atmosphere for athletes to go to while they are away from their competition. This year, Olympic Town will be a Mardi Gras theme and we are in need of booth/game ideas and volunteers. 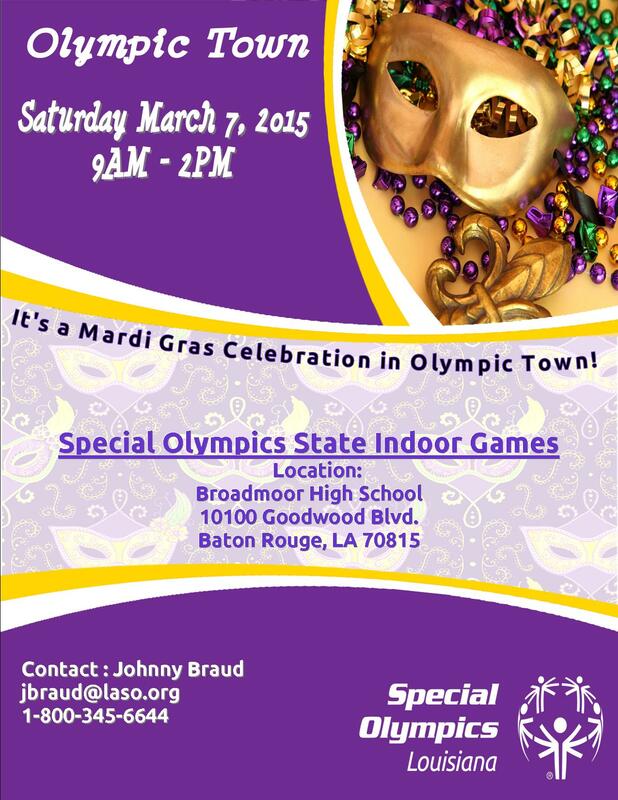 If you would like to create a booth or game, or simply want to volunteer for Olympic Town, please contact Johnny Braud at jbraud@laso.org or 800-345-6644. The Unified flag football game that took place at LSU UREC this past Saturday was featured on ESPN’s SEC Nation! The clip featured both LSU and Alabama athletes an was broadcast live. View the full clip here. SO College LSU took the victory with a 34-14 score! Both teams played exceptionally well and it was a great game. Thank you to all of the spectators, VIPs, media, and Law Enforcement that attended the game! We would also like to give a special shout out to LSU UREC staff that made this game possible! 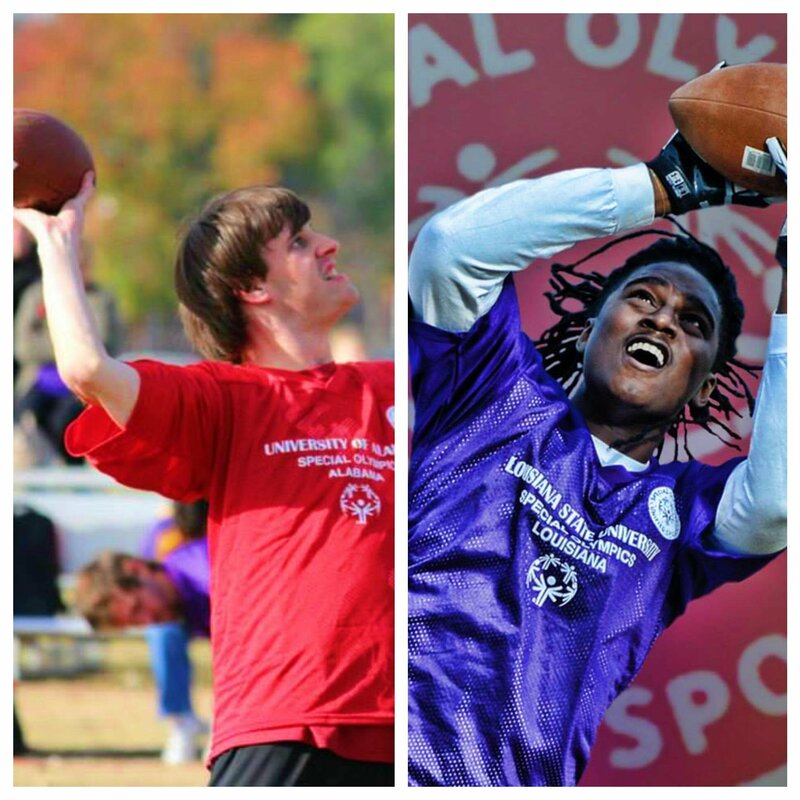 Tomorrow morning, Saturday, November 8th, SO College Alabama and LSU will face off in a Unified flag football rematch! We want YOU to be there! So, get up early and head to the LSU Student Recreation Complex (directly behind the UREC Building) for 9am. Get there early for some pre-game fun, including a R-word table and player intros which will be done by our Master of Ceremonies, Derek Ponamsky from 104.5 ESPN Radio in Baton Rouge. We invite all to stick around for the medal ceremony immediately following the game.